Find your corner of Amsterdam with this essential travel guide to this historic city, designed to help you create your own unique trip and to transport you there before you've even packed your case - stroll along atmospheric canals, reflect at the Anne Frank House, explore the Rijksmuseum, or relax in Vondelpark. The DK Eyewitness Guide to Amsterdam covers the must-see sights and the hidden corners, so you won't miss a thing. -Reasons to love Amsterdam: world-class museums, canal cruising and funky street art - what will yours be? 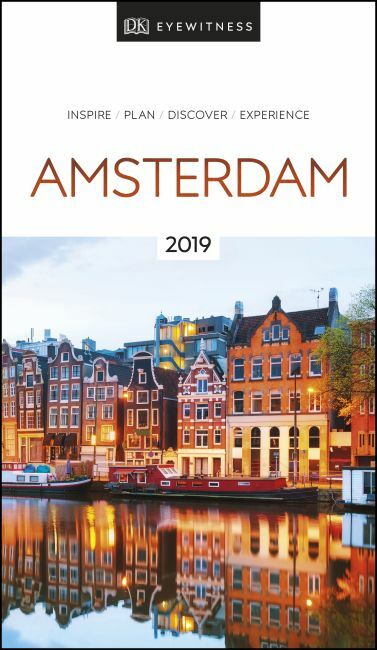 -Covers Nieuwe Zijde, Oude Zijde, the Central Canal Ring and Eastern Canal Ring, Museum Quarter, Jordaan and the Western Islands, Plantage, Noord, plus sights beyond the city.